Autonomic testing encompasses an array of procedures that can be used to assess a variety of symptoms ranging from lightheadedness and dizziness to anhydrosis to constipation and urinary incontinence. A number of procedures are available for testing of the many varied aspects of both the parasympafhetic and sympathetic nervous systems. These tests include Valsalva maneuver testing, RR interval testing, tilt-table testing, microneurography, and the thermoregulatory sweat test. 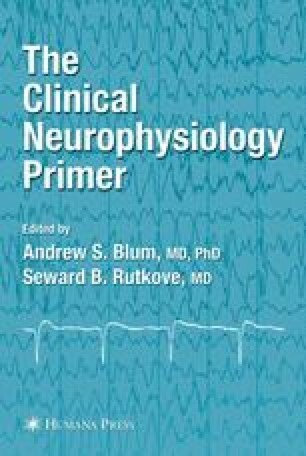 This chapter reviews the basic neuroanatomy and neurophysiology of the autonomie nervous system and the tests that are most effective in their evaluation.